Castro Valley Community Band Returns to St. Louis Bertrand in Oakland! 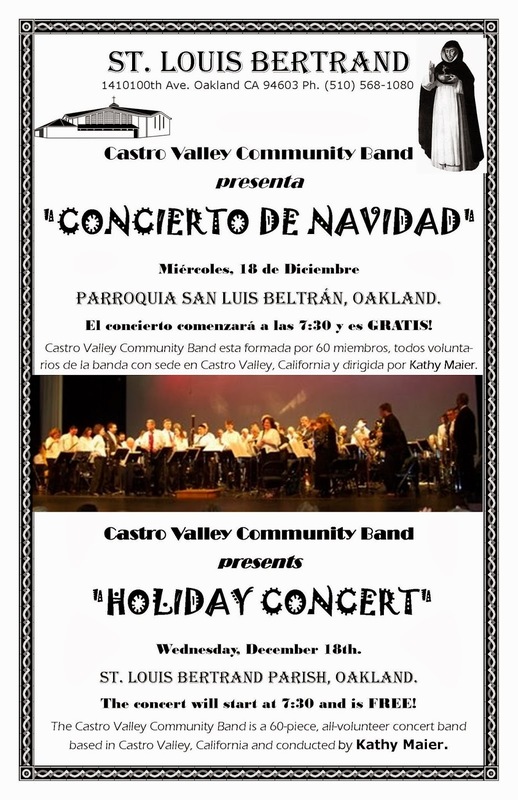 For the third year in a row, the Castro Valley Community Band will play a holiday concert at St. Louis Bertrand Parish, 1410 100th Avenue in Oakland, on December 18, 2013 at 7:30 p.m. All are welcome. The people of St. Louis Bertrand have very warmly welcomed the band over the years. Indeed, this has become a favorite gig for many band members. We look forward to sharing an evening with this enthusiastic community, and we invite everyone to join us. Please share this with your friends and family. We hope to see you there! 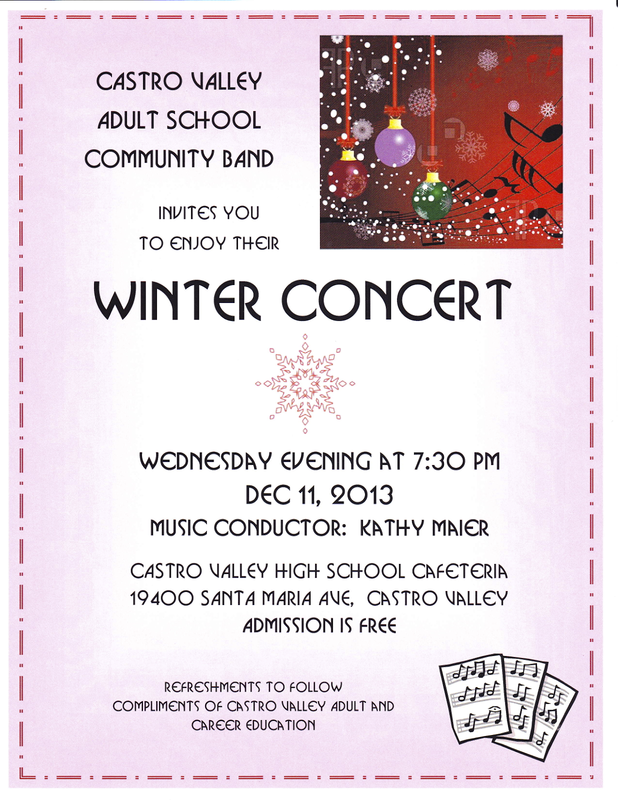 Please note that we are playing in the Castro Valley High School cafeteria, and not in the Center for the Arts.